Listen to her 44-track dedication now. To mark the love-filled holiday, Michelle Obama created a Valentine's Day playlist dedicated to her husband. "Forever Mine: Michelle to Barack" is a gushing love letter to the former Commander in Chief, capping off at 44 songs — a nod to his presidential number. "Happy #ValentinesDay to my one and only, @BarackObama," she wrote on Twitter. "To celebrate the occasion, I’m dedicating a little Valentine’s Day playlist to you! 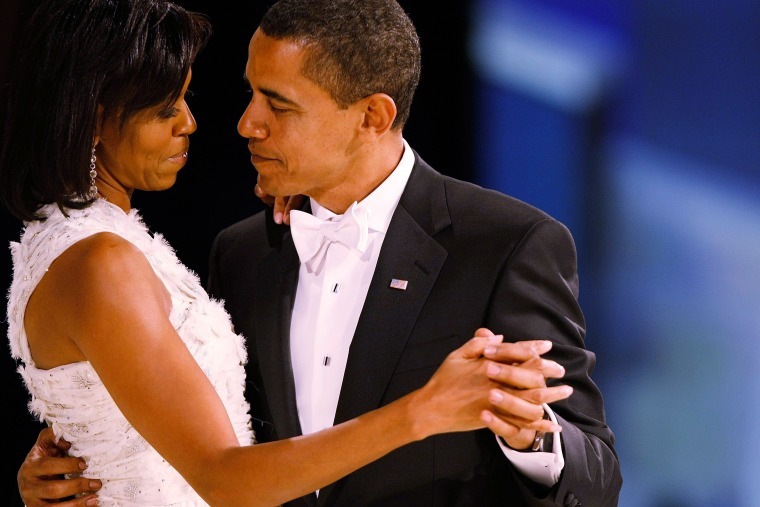 💝"
The playlist includes Beyoncé, Daniel Caesar and Kai Uchis, Alabama Shakes, a Rihanna classic, Kendrick Lamar, and Ed Sheeran, because the Obamas are still diplomats. Listen to the whole thing below.